None of this is of course helped by the weather here in New England. As mentioned in my blog, How Professional Photographers Deal with Weather in New England, the weather in and around Massachusetts can change quickly – and often not for the better. While you can work around weather with angles and photoshop magic, both can only go so far. Instead, it’s important to amass the weather tools needed to know when you’ll have the perfect weather. Below are four online tools I use to look at the current and upcoming weather around my shoot locations. Depending on the region, I might use other tools, but in the Boston area, these are my go-to. I start by going to NECN Early Warning Weather, which presents me with a great overall picture of weather patterns in New England, and also includes video and radar for a more in-depth review. After that, I will review the NOAA Weather for conditions in my specific shoot location. They provide a very useful forecast, including an extended forecast to better time my shoots. It’s important to remember that I’m more worried about clouds obscuring light or providing a dreary backdrop then conditions like wind or humidity, so I like to look at a cloud moving radar to make sure the skies will be clear. I use the mobile app Intellicast for this. If my shooting is going to take me to any water influenced by the tides, from rivers to coastal beaches, I need to know what the tide is going to be and if it’s going to impact my shots. 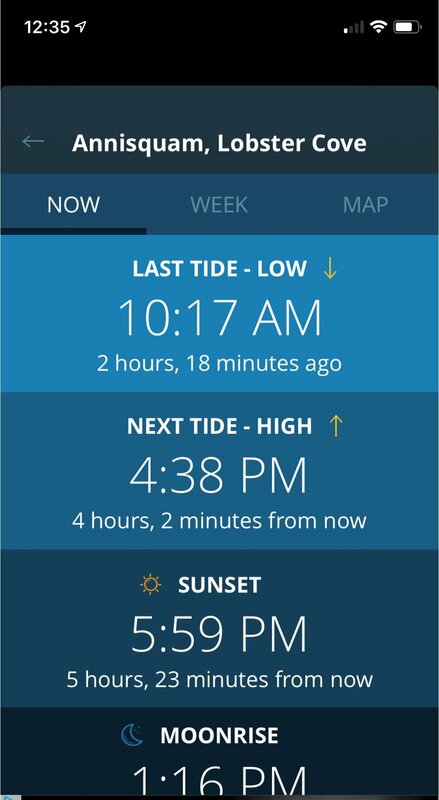 Again, I use a mobile app for this, called Tides Near Me. Using all of these requires planning and thinking like a weatherman, but they also produce the best professional shots. With these insights, I can help find the perfect day for any building here in the New England area, even how in the difficult fall weather. Looking to have your building photographed on a sunny day? Talk to me about your next project, and I’ll use my weather insight to schedule to right photo shoot.